The Epson QX-10 is described both as ultimate CP/M machine and ultimate office suite flop. Both have a core of truth as they describe different aspects of the machine. As a CP/M machine, the QX-10 is very complete, has a very nice, office friendly enclosure, and is expandable. As a office suite flop, the Valdocs environment came with its own CP/M compatible operating system, TPM II and was written in Forth. The software was appearantly slow and not bug-free, giving the set a bad name. This in contrast with the ambitious advertisement campain at its introduction. As Valdocs was only launced in the USA, the positive image of the QX-10 was more apparant in Europe. One of the gadgets in the QX-10 is the MultiFont functionality. In hardware it is a microcontroller based expansion card which can supply font information for both screen and printer. The screen data transfer could even use DMA (direct memory access). For printing an Epson (compatible) printer is very useful. The support for various devices like several printers with Multi-Font CP/M explains why Epson reserved four tracks (8 kByte) for the system on the diskette. The BIOS consists of five parts, four of which reside on the System Bank in the memory. Below are the parts and their location in memory. 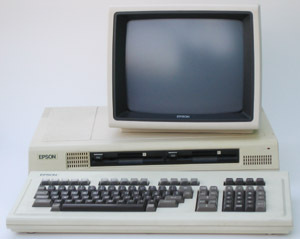 Part of the sleek appearance came from the floppy drives, which are only a third of the height of standard 5 1/4" drives. 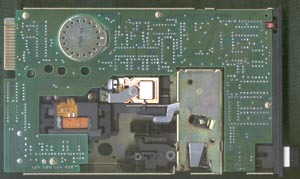 Head positioning is done with a voice coil, similar to what later became standard in harddisk drives. Standard 5 1/4" floppy drives use stepper motors. Here a short movie showing the voice coil in action. 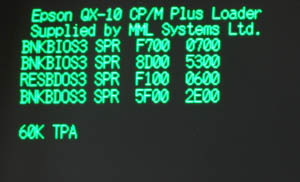 Several versions of CP/M were available for the QX-10. See Details for more info. Most European versions of the QX-10 (all I have seen) are CP/M based and have the Multi-Fonts expansion card. Most American QX-10s are Valdocs oriented and have the HASCI keyboard. Both have regular CP/M versions, some using 64 kByte, some 256 kByte. No information is available on Japanese QC-10 operating systems. The HASCI keyboard had a different layout than the standard keyboard. If your : key gives a ' and the CONTROL key doesn't work, you have a ASCII keyboard and a CP/M configured for HASCI. The SETASCII program solves this problem. Don't know if there is a SETHASCI program. The HASCI keyboard was part of the HASCI design pioneered by Rising Star Industries. The goal was to simplify common administrative tasks by creating smart, intuitive interfaces. The Valdocs suite was the result of this design.  An introduction to the HASCI interface can be found in the first chapter of the Programming Guide to Valdocs (the complete guide will be available at the Virtual Library (link below). HX-20 the portable from Epson. PX-8 the portable successor of the QX-10. PX-4 the successor of the HX-20. PX-16 PC-version of the PX-4. TF-20 Terminal Floppy. Uses the same slim-line floppy drives as the QX-10. The eXC-10 emulator It looks from the screenshots like it can run most European QX-10 software. These ROMs are needed to run the emulator. The QX-10 disk library contains boot disks. Note the FONT.ROM contains an European characterset, so may not work properly with Valdocs.